Merlin has a reputation for selling sharply priced own-brand cycles; now it’s branched out into cycle clothing. Merlin Cycles is an innovative Lancashire bike shop with a strong on-line presence. Its own-brand bicycle range currently extends from a £300 fixie and a £450 eight-speed up to a £1300 cyclocross bike (all currently discounted on their website), which we recently reviewed and liked. 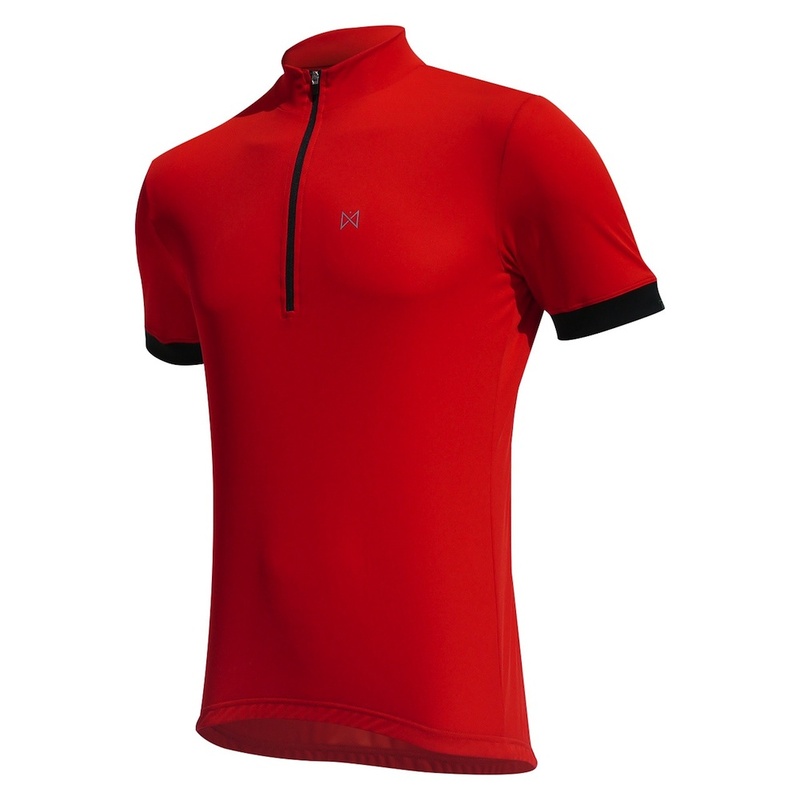 The Merlin Core jersey – an entry-level jersey at £23. Merlin’s clothing comprises the Core, Sport and Elite ranges. The Core range is aimed at new and leisure riders and commuters. The Core jersey at £23 has a relaxed cut, the usual three rear pockets and a quarter-length zip and is available in white, black or red. The Core bibshorts cost £25. They are flat seamed and come with a single-density antibacterial seatpad. The Sport range, for regular and longer-distance riders, aims to be more fitted and uses more technical fabrics. 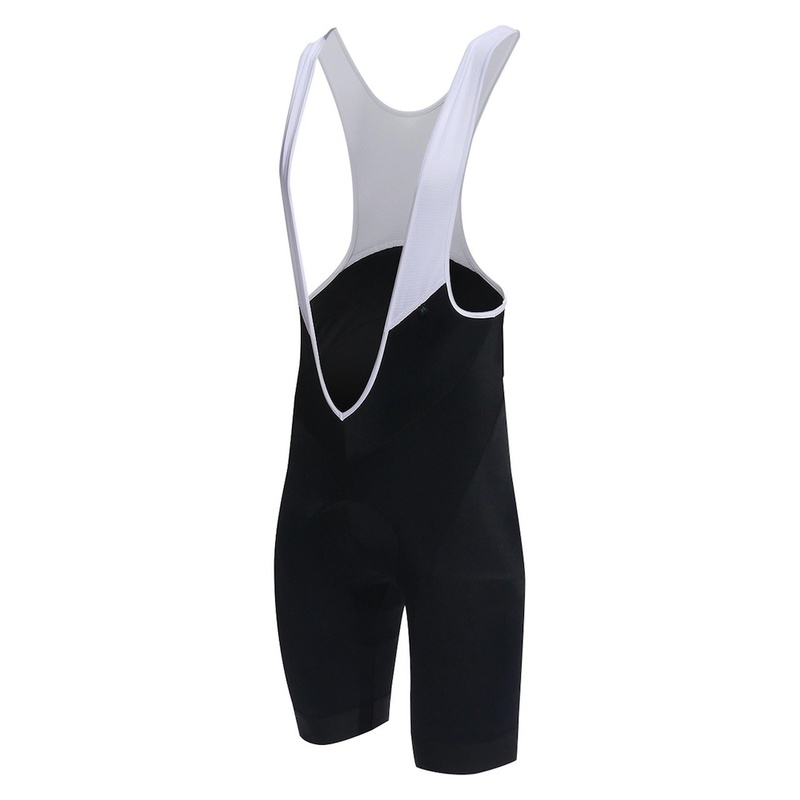 It currently comprises bibshorts at £38, made with a heavier-weight fabric and a dual density pad. The top-of-the-line Elite bibshorts at £56 have a Cytech pad and are made from two different technical fabrics. Merlin’s clothing also includes arm, knee and leg warmers, all in black roubaix fabric and with a retail price range from £12.50 to £19.00. There are white socks for £5. All the Merlin clothing range is currently discounted by around 20% on the website, making it even more of a bargain. Merlin plans to extend its clothing and accessory offer in coming seasons.